Ian Shircore ghostwrites business books and memoirs. 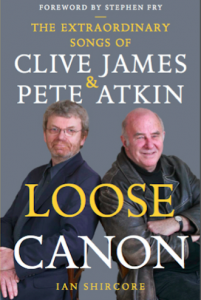 His own books include John F Kennedy: The Life, The Presidency and The Assassination and Loose Canon: The Extraordinary Songs of Clive James and Pete Atkin. He is just completing So Brightly at the Last, the first full-length study of the poems of Clive James. What gets one book published, when another gets no further than a snotty rejection slip (if that)? I remember reading a useful book, nearly twenty years ago, written by a New York agent, Noah Lukeman. It summed up most of what you need to know in its title. It was called The First Five Pages. Now, there’s obviously a lot more to it than that (Lukeman’s own book tailed off quite sharply after the title). But this guy had spent most of his working life rejecting other people’s manuscripts and he knew what he was talking about. Staying out of the slush pile means staying in the game. Publishers and agents spend their careers fending off a relentless flood of awful typescripts. They may have the occasional nightmare about the one that got away, but their day-to-day routine consists of grabbing a submission from the piled-up in-tray, glancing at a few pages here and there and identifying, as quickly and economically as possible, why a particular book is not going to work. It doesn’t need much. It only takes a few spelling mistakes, a rush of flowery, clichéd adjectives or a spasm of clumsy and inept punctuation to seal an author’s fate. (I know one agent who does a quick scan for exclamation marks. If he sees one in the first page or two, he won’t read any further.) Even the paper, typeface, layout or printing quality can be enough to send the manuscript straight to the rejects pile. If the publisher or agent is in a benign after-lunch mood, he or she may give the book the benefit of the doubt for a few minutes, and try the three-scoop approach. This involves reading a page or so from three points in the book – the beginning, somewhere in the middle and some point just before the end. These people know that you’ll have worked hard (won’t you?) to polish the first page or so and the ending. But if they dip their nets in three times and come up with pondweed every time, they know it’s unlikely that the rest of the book will be any better. Good writers learn the craft of writing. They work at it. And it shows. They choose interesting words, find unusual angles and vary the pace and length of their sentences. Contrary to romantic myth, there are very few good books written in bad prose. 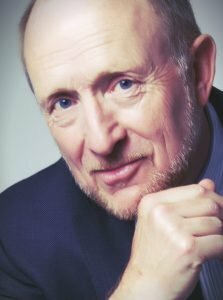 So what can you do, if you really do have something to say but don’t have the hard-won technique to make it read well? The obvious answer is to do what celebrities, musicians, sports stars, medical experts and scientists do and work with a ghostwriter. You’ll have to put in a bit of work to find the right ghost, as the personal chemistry is almost as important as the technical expertise. Most professional ghostwriters have their own websites and you can tell a lot about them by the way they write in their own voice – and by the way the website anticipates the questions you need answered. Spend an hour or two googling around the subject and then pick up the phone. The loose grouping of a dozen independent ghosts that I belong to, United Ghostwriters, includes a dazzling array of talents, with specific expertise in many different fields and a track record that includes any number of bestsellers. But there are other competent ghosts around and you can often find their names just by studying the Acknowledgements section of a book you’ve enjoyed. Just look for some phrase like ‘and to Jane Smith, without whose help this book would never have been completed’. Those of us who are ‘real’ authors get a completely different sort of satisfaction from ghostwriting. We like trying on different voices and different personalities. We become the actor, working with you, the playwright, to put your work across in the best possible light. We help you with shape and structure, with pacing and texture. We give your work the polish it deserves. And when your book’s almost finished, we’ll go back and crawl all over the opening chapter, reworking it again and again if necessary, to make sure it’s powerful, intriguing and flawlessly crafted. We know about the first five pages, you see. And we’re not going to let anyone turn your book down without a pretty good reason.